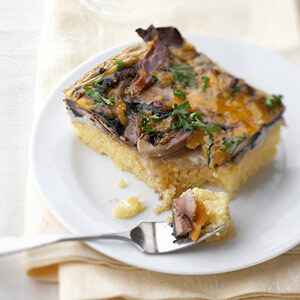 Preheat oven to 350 degrees F. Coat a 2-quart rectangular baking dish with cooking spray; set aside. In a large saucepan, bring water to boiling. Gradually stir in grits. Reduce heat to low. Cook, uncovered, for 5 to 7 minutes or until thick, stirring frequently. Remove from heat. Stir in 1/4 cup of the cheese and the salt. Spread evenly in the prepared dish. Coat an unheated large nonstick skillet with cooking spray. Preheat skillet over medium heat. Add mushrooms and pepper. Cook about 5 minutes or until tender and any liquid is evaporated, stirring occasionally. Add prosciutto and garlic. Cook and stir for 1 minute more. Cool slightly. Add egg whites and eggs to the mushroom mixture; stir to combine. Spread over grits in dish. Sprinkle with the remaining 1/2 cup cheese. Bake, uncovered, for 25 to 30 minutes or until heated through and egg mixture is set in center. Let stand for 5 minutes before serving. If desired, sprinkle with parsley. 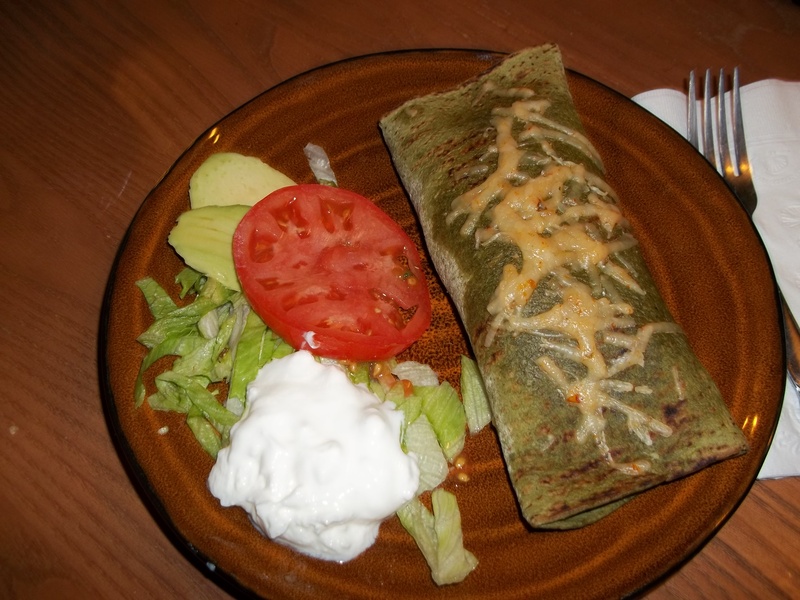 Cut in to slices, place on plate with a side of shredded lettuce, tomato slice, tablespoon of plain low fat Greek Yougurt and couple slices of avocado. 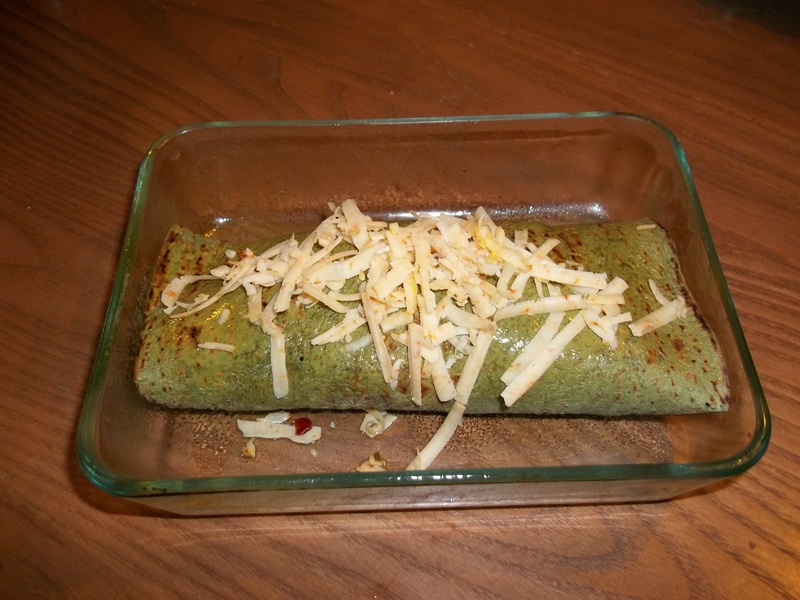 Makes one serving and so easy and healthy for one individual. 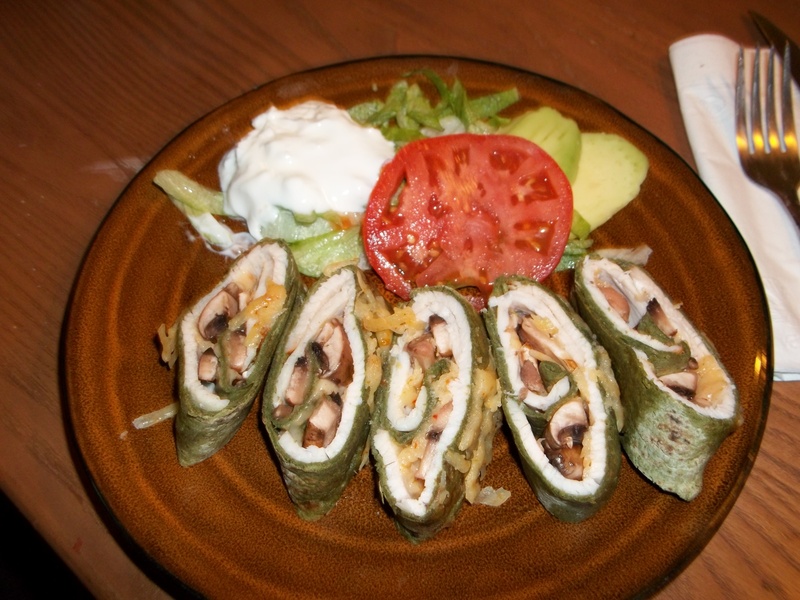 To increase servings, just make one wrap for each individual. 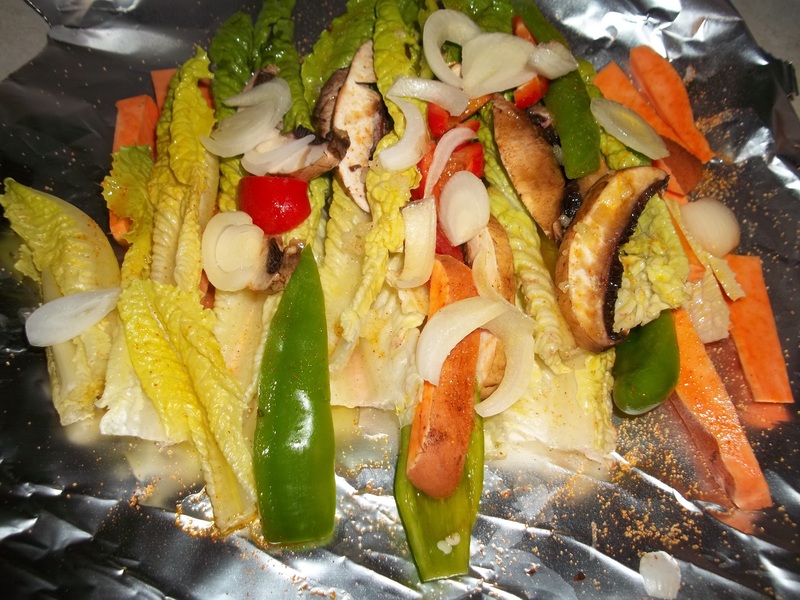 5> Put aluminum foiled veggies on one side and the Italian sausage on other side and grill simultaneously. Cook at approximately 350 to 400 for about 45 minutes. I remove sausage and split after 15 minutes then place back on grill to finish cooking. 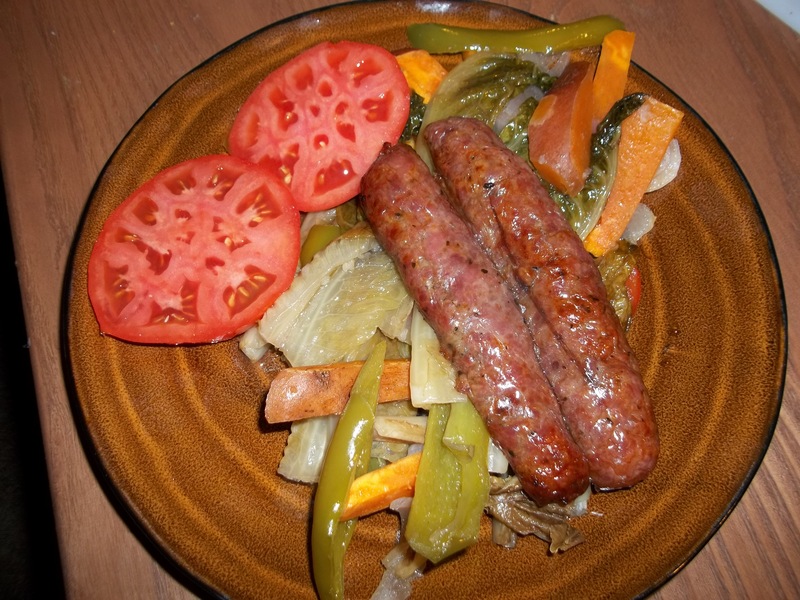 When done, put veggies on plate, lay sausage across the top and serve with fresh sliced tomatoes. 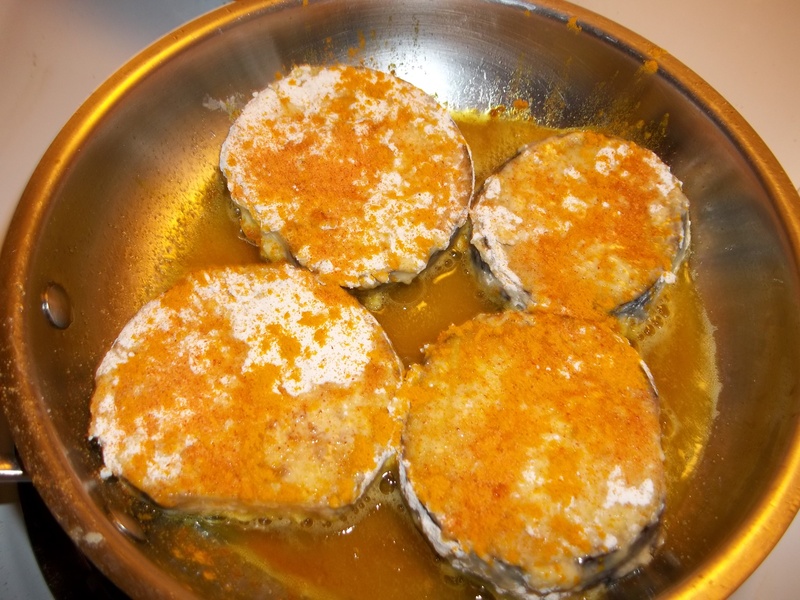 1> Clean eggplant into 4 pieces and leave skin on. 3> In zip lock plastic 1 quart bag, put the flour, tumeric, chili powder, salt and shake till all is mixed. 7> Cover with lid and turn to low and let cook 10 more minutes. 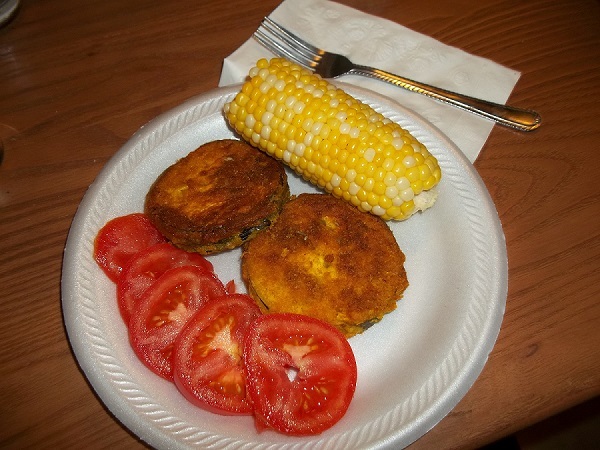 Serve with side of fresh steamed corn and garden sliced tomatoes.